The motivation behind most of my research is the need for reliable software. Software is rapidly becoming the foundation for our entire civil infrastructure. All activities including transportation, telecommunications, energy, medicine, and banking rely on the correct working of software systems. As software becomes more pervasive in our infrastructure, failures of software can cause more and more damage. Hence the increasing need for reliable software. Software reliability also has a significant impact on our economy. Studies estimate that bugs in software cost businesses worldwide about $175 billion annually. Making software reliable is one of the most important problems facing computer science today. Making software reliable is also one of the most challenging problems, primarily because of the inherent complexity of large software systems. My primary research interest is software reliability, which spans the spectrum from programming languages, through program analysis, to software engineering. I am interested in all approaches for helping programmers write and maintain reliable software. I am particularly interested in developing programming languages with strong type systems and efficient software model checking techniques to improve software reliability. The following are some of my research projects. A list of my publications appears on another page. Programming languages with strong type systems have significant software engineering benefits. Types can enforce a wide variety of program invariants at compile time and catch programming errors early in the software development cycle. Types also serve as documentation that lives with the code and is checked throughout the evolution of code. We are developing a new type system for a next generation safe programming language. Our type system improves software reliability by preventing several classes of common but potentially serious programming errors. If a program type checks, the system guarantees at compile time that the program does not contain any of those errors. We designed our type system in the context of a Java-like object-oriented language; we call the resulting language SafeJava. The SafeJava type system offers significant software engineering benefits. Specifically, SafeJava provides a statically enforceable way of specifying object encapsulation and enables local reasoning about program correctness; it combines effects clauses with encapsulation to enable modular checking of methods in the presence of subtyping; it statically prevents data races and deadlocks in multithreaded programs, which are some of the most difficult programming errors to detect, reproduce, and eliminate; it enables software upgrades in persistent object stores to be defined modularly and implemented efficiently; it statically ensures memory safety in programs that manage their own memory using regions; and it also statically ensures that real-time threads in real-time programs are not interrupted for unbounded amounts of time because of garbage collection pauses. Moreover, SafeJava provides all these benefits in a unified type system framework, indicating that seemingly different issues such as encapsulation, multithreading, software upgrades, and memory management have much in common. 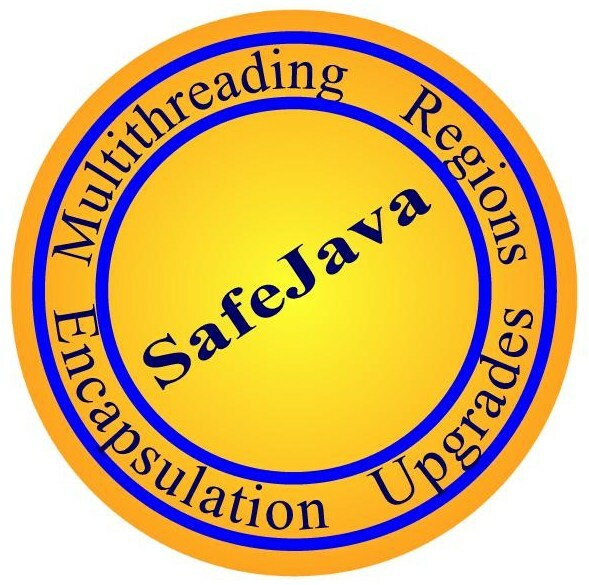 We have implemented several Java programs in SafeJava. Our preliminary experience suggests that SafeJava is sufficiently expressive to support common programming patterns, its type checking is fast and scalable, and it requires little programming overhead. The SafeJava type system thus offers a promising approach for improving software reliability. Software model checking is a formal verification technique that exhaustively tests a program on all possible inputs (sometimes up to a given size) to handle input nondeterminism and on all possible nondeterministic schedules to handle scheduling nondeterminism. Software model checking requires significantly less human effort compared to traditional formal verification techniques that rely on theorem provers. However, it is difficult to scale software model checking to check large programs and complex properties because of the exhaustive nature of the search and the consequent state space explosion. Handling the state space explosion problem is thus the central challenge in software model checking research. We are working on novel programming language and program analysis techniques that significantly reduce the state space of a software model checker. Our approach, that we call the glass box approach to software model checking, identifies similarities in the state space of a software model checker and safely prunes away large portions of the state space. Preliminary results show orders of magnitude improvement over previous approaches. We believe that our glass box approach can make software model checking more efficient and scalable, and thus enable checking of much larger programs and complex program properties than currently possible. Object-oriented databases provide a simple yet powerful programming model that allows applications to store objects reliably so that they can be used again later and shared with other applications. For my Master's thesis, I designed, implemented, and evaluated the performance of a distributed Java Persistent Store called JPS. JPS is built on top of the Thor object-oriented database. JPS provides several advantages over other persistent Java systems. Unlike most of other persistent Java systems, JPS is distributed and it allows multiple clients to simultaneously access the object store. JPS is built to be used over a wide area network and scales well with large databases. JPS provides a very reliable and highly available storage. JPS also offers significantly better performance for many important types of workloads. More information on the Thor project can be found here. Long-lived software systems need upgrades to improve implementations, to correct errors, or even to change interfaces in the face of changing application requirements. Providing a satisfactory solution for upgrades in persistent object stores has been a long-standing challenge. 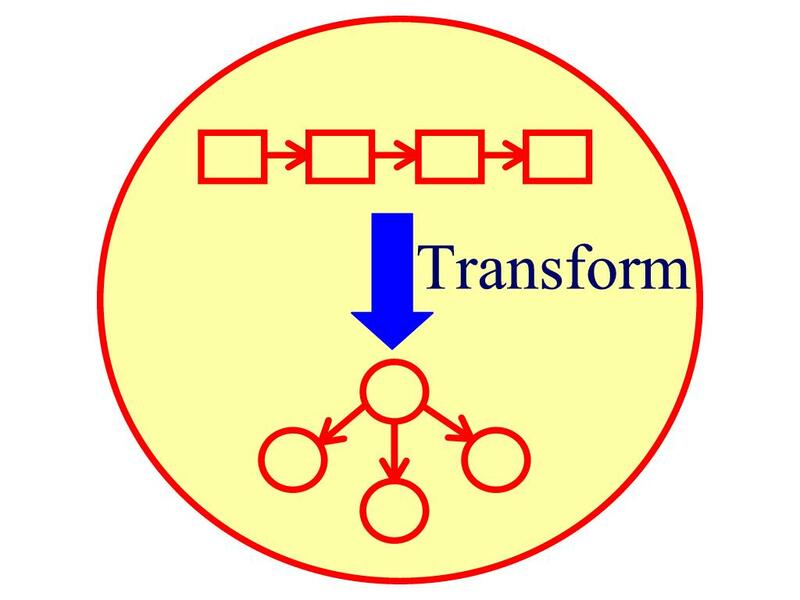 We have developed a novel mechanism for upgrading objects in a persistent object store. Our mechanism is expressive, supporting a rich set of upgrades; it is efficient and does not stop application access to persistent objects while running an upgrade; it avoids storing multiple copies of the objects; yet it provides good semantics. Our system uses a variant of ownership types to ensure that the code for upgrading objects only observes interfaces and invariants that existed at the time it was written. 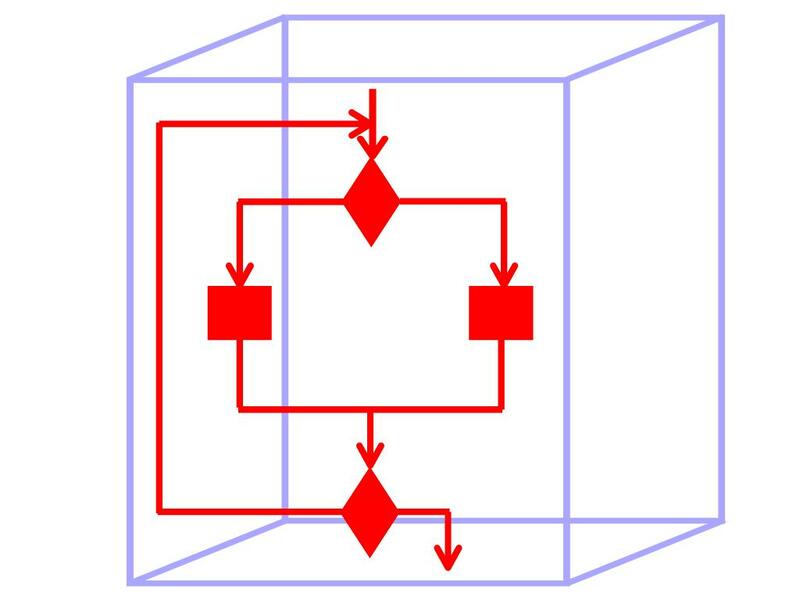 This enables modular reasoning about the correctness of upgrades. We have implemented our approach in the Thor object-oriented database. Our performance results show that the overhead of our upgrade infrastructure is low. More information on the software upgrades project can be found here. Aspect-oriented programming (AOP) is a new programming methodology that enables the modularization of crosscutting concerns. AspectJ is an extension to Java that supports AOP. I was a summer intern at Xerox PARC in 1999, where I worked with Gregor Kiczales on AspectJ. Specifically, I was involved in the design of language constructs that make it possible to write reusable aspects as part of aspect libraries. I also built a rudimentary editor and debugger for AspectJ. More information on AspectJ can be found here. An efficient amortized data structure is one that ensures that the average time per operation spent on processing any sequence of operations is small. Amortized data structures typically have non-uniform response times, which makes them unsuitable in many important contexts, such as real time systems, parallel programs, persistent data structures, and interactive software. On the other hand, an efficient worst case data structure guarantees that every operation will be performed quickly. The construction of worst case efficient data structures from amortized ones is a fundamental problem which is also of pragmatic interest. 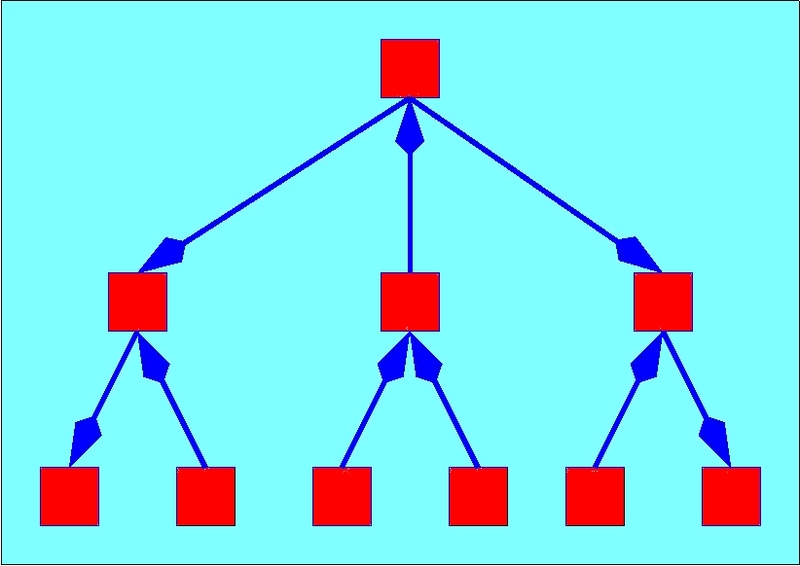 For my Bachelor's thesis, I solved two different open problems in data structures: the implementation of priority queues and the implementation of concatenable double ended queues with heap order. I eliminated amortization from existing data structures and proposed new worst case efficient data structures for these problems.